Lara Croft uses GPS caches to explore her surroundings, just as geocachers use coordinates to locate real-world locations and treasures. In celebration of Earth Day, why not turn off the devices and consoles and take part in a more 4D adventure? Mariah explains the ins and outs of geocaching. In celebration of Earth Day, why not turn off the devices and consoles and take part in a more 4D adventure? 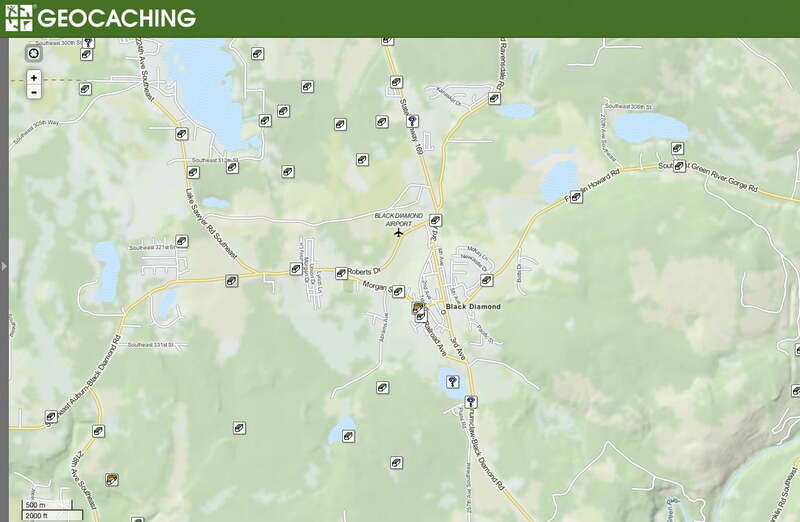 Geocaching is an outdoor game that employs the use of GPS technology and waypoints to uncover real-world “treasure”. Lara Croft used GPS caches to unlock challenges and explore the island upon which she became shipwrecked. Walter White used GPS coordinates to mark the site of his buried treasure (and, when that didn’t pan out, his brother-in-law Hank). Now millions of people worldwide use GPS coordinates to hide and uncover secret spoils in not-so-plain sight. 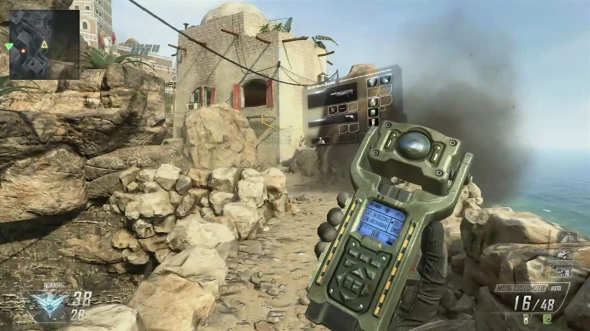 GPS coordinates come in handy in Black Ops. Geocaching is a global game that uses GPS technology to encourage people to get out and explore the world around them. While there are a lot of variations on the game, each tailored to a specific geek subset, a great place to start learning about tech savvy past time is Groundspeak’s geocaching.com. 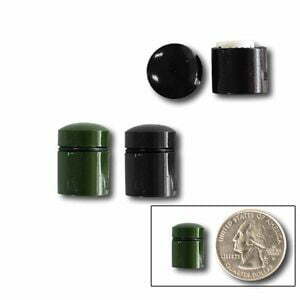 Geocaching started when selective availability was officially removed from the Global Positioning System in May 2000. This change in GPS technology made unearthing specific locations more accurate and reliable. On May 3, 2000–a mere day after SA was obsolete, the enterprising Dave Ulmer of Beavercreek, Oregon planted a black container full of goodies that has become the birthplace of geocaching. Ulmer advertised the coordinates of the cache on a Usenet newsgroup (45°17.460′N 122°24.800′W), and within 3 days the cache had been found and the discovery logged. A map of geocache waymarkers. The quirky hobby has grown by leaps and bounds, largely thanks to the Jeremy Irish and Groundspeak. Irish and his network of pioneering friends (Bryan Roth and Elias Alvord) started Groundspeak as a listing site to catalog caches in 2000, and today the service boasts over 6 million registered cachers. Caching isn’t exclusive to Groundspeak, however. Munzees, for example, were developed in 2011; these caches are not physically hidden “treasures”, but instead are stickers with a scannable QR code that employs smartphone technology to log caches in a freemium game model. Munzees are hidden and found similarly to traditional caches, using a listing database and GPS locator; these caches are worth points, and the game can be played in a more competitive sense using this database. Google’s Ingress creates a sci-fi narrative and presents real GPD locations as portals or checkpoints in a creative, MMO version of geocaching (not dissimilar to Google’s Pokemon April Fool’s game). Geocaching is as easy as walking out the door. Chances are, within a mile of any given starting point there is at least one geocache waiting to be found. To begin scavenging, create an account at a geocaching database in order to discover and log finds. Download and open the app to view a map of nearby caches waiting to be discovered. Walk, drive or bicycle to the destination, reading any available clues or hints left about the hiding spot by the cache owner. Beware: lookers-on and other people who aren’t familiar with the game are called “muggles” (after the Harry Potter terminology for the uninitiated). Do not let a muggle spy your scavenging efforts; people who don’t understand what a geocache is could visit a site after it has been exposed and remove or damage its contents, compromising it for the next hunter. Once a cache has been found, there is typically a “log” to be signed with a caching codename (username on geocaching.com, for example). If the cache was located using a mobile phone app, users may mark the cache as found using his or her Groundspeak account. A magnetized Altoid container tucked along a roadside guardrail waits to be discovered. Caches vary in size, shape and camouflage. One thing that almost every cache has in common is that it must be large enough to contain a “log” (a peice of paper on which to identify conquest of cache using an established codename). While logic suggests that this would make caches relatively big, a popular type of cache called a nano is smaller than the average thumbnail and is often very easily disguised. Containers are sometimes large enough to contain trinkets or good such as trackables and geocoins (two game peices designed to be transported, traded or collected). Ammo cans, tupperware, Altoid tins, old film canisters–there is no one kind of geocache. A “nano” cache unscrews to house a tightly wound logbook for geocachers to sign. Arguably, the greatest draw to geocaching–the element that gives the game staying power–is the limitless ingenuity of adult hide-and-seek. Caches can be epoxied into the caps of chain link fences, tucked inside hollowed out logs, disguised as a wall outlet, stuck inside a non-functional sprinkler head, hung like an ornament in the branches of a tree, or inside the “skirts” of lamp posts. There is no end of possibilities for hiding places save for the boundaries of creativity. Night caches or puzzle caches offer increased difficulty for expert level cachers looking for a challenge. Destination caches guide explorers through state parks to enrich a hike. Geocaching is a game that invites members to contribute as much or as little as desired, and there are no guidelines on how often to play, or where, or when for that matter. There are no tangible rewards from caching. Players don’t get money, level up or unlock extras by finding a greater quantity of, or particular/“rare” geocaches. The incentive to search is to challenge the imagination, as well as to test the limits (and explore the more playful side of) GPS technology. 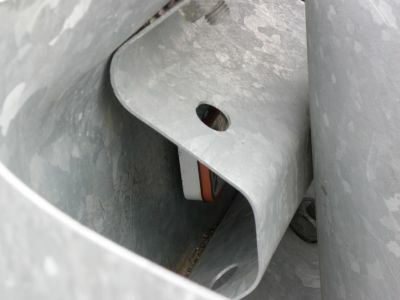 Caches are placed in locations that the cache owner visits frequently, that hold significance to the cache owner, or that are a unique destination; in this way, geocaching offers players a unique opportunity to explore the nooks and crannies of suburbia like a detective or bounty hunter.